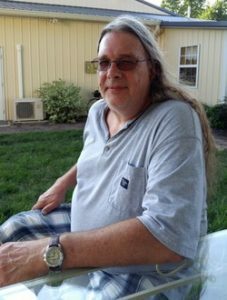 Paul Clark Wetzel, 58, of Mechanicsville, MD passed away suddenly Friday, November 2, 2018. He was born on September 10, 1960 in Cumberland, MD to the late William and Barbara Owens Wetzel. Paul was a lifelong resident of St. Mary’s County and 1978 graduate of Chopticon High School. On February 11, 1989 he married his beloved wife, Mary Virginia Nelson Wetzel. Together they celebrated over 29 wonderful years of marriage. He was employed by Giant Food, Inc. as a warehouseman for over 30 dedicated years until his retirement in October 2017. He was an avid softball player, playing for Bailey’s Express, Old Gum and Bob Green for many fun years. Paul coached little league football, and was Coach Paul for several years, for the Giants T-Ball players. He later coached his girls’ basketball teams. He was a NASCAR fan, especially Jeff Gordon, and went to the track for many races. He was an avid Pittsburgh Steeler fan. He enjoyed crabbing and fishing with family and friends. He was a grill master and made delicious pork loin and chicken. His Jalapeno poppers were the bomb, also stuffed hams for the holidays every year. Family was always his priority and he enjoyed spending as much time as possible with them. He and his wife enjoyed travelling. Their favorite trip being recently when they went to New York to visit his brother, and then headed to the Midwest to visit his sister, followed by a stop in MO to visit friends before returning home. He loved to go every year to West Virginia for family reunions. His grandchildren were his pride and joy. In addition to his beloved wife, Mary, Paul is also survived by his daughters, Sallie Wetzel of Port Charlotte, FL and Kristen Wetzel of Mechanicsville, MD; his siblings: Linda Thompson of Lexington Park, MD, Kristi Huckabee of Port Tobacco, MD, Alan Wetzel (Anita) of Mechanicsville, MD, Cheri Wetzel (Doug Noah) of Bellevue, NE, and Patrick Wetzel (Aaron Kaburick) of New York, NY; his grandchildren: Hunter Lee, Braylee Rae, and Nelson Reed; and many extended family and friends. He is preceded in death by his parents and his in-laws, John Herman and Mary Cecilia Nelson. Family will receive friends for Paul’s Life Celebration on Wednesday, November 7, 2018 from 5:00 to 8:00 p.m., with a prayer service at 7:00 p.m., at Brinsfield Funeral Home, P.A., 22955 Hollywood Road, Leonardtown, MD 20650. A Funeral Service will be celebrated Thursday, November 8, 2018 at 11:00 a.m. by Reverend Ron Potts at Brinsfield Funeral Home, Leonardtown, MD. Interment will follow at St. Francis Xavier Church. Memorial contributions may be made to St. Mary’s County T-Ball Youth Organization. P.O. Box 526, Mechanicsville, MD 20659, Phone 240-538-3931, Email:smctbyo@yahoo.com.